Where are you on the Digital Transformation Roadmap? We are all bombarded by Digital Transformation stories – stories of businesses achieving amazing things through technology. They often seem remote from the day-to-day reality of demanding customers, operational workloads and rising regulatory burden. MBS are hosting two events in the Channel Islands this month, where they will offer a practical guide to digitally transforming your business, based around a number of tool sets they specialise in. MBS work with over 300 clients operating in 39 countries. 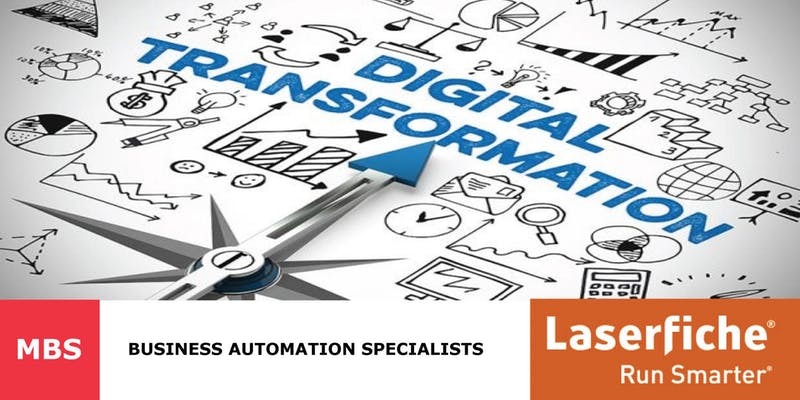 They deliver tangible improvements in business performance through proven, leading technology solutions in practical steps – real Digital Transformation. Most of MBS clients are in the offshore financial services sector, including many in Guernsey and Jersey. Increasing business intelligence to enable further business improvements. One client raised productivity by 14% (the equivalent of one hour a day) across the organisation. Another has doubled new business in a year, by reducing the new business process time from several days to minutes, increasing conversion rates and customer satisfaction. If you would like to see a practical guide to Digital Transformation, please join us for this free workshop on 23rd October in Guernsey, or 25th October in Jersey. Click the button below to register for either event. Both events start at 10.00am and will be finished by 2.00pm, which includes lunch. Solitaire Consulting has been working with MBS for several years, supporting their clients implementing MBS technologies, including Laserfiche ECM, a leading document and content management system. Solitaire Consulting provide services before, during and after a digital transformation project to ensure your business achieves the desired outcomes and benefits from your investments in technology.